David Kellogg Lewis (1941-2001) was a member of the Philosophy Department at Princeton University 1970-2001. Born in Oberlin Ohio, Lewis was educated at Swarthmore College, where he studied chemistry as well as Philosophy, and then at Harvard, where in 1967 he completed his doctoral dissertation under the supervision of Willard Van Orman Quine. It was while at Harvard, and in a graduate seminar taught by J.J.C.Smart, a Visiting Professor, that he met his wife-to-be, sometime coauthor, and lifetime partner, Stephanie, at that time a mathematics student and auditor in Smart's class. Lewis began his teaching career in 1967 at UCLA, moving to Princeton in 1970 as an untenured associate professor. 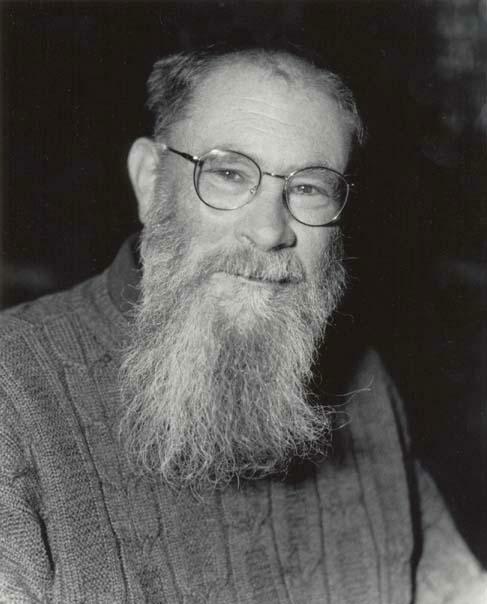 He was promoted to full professor in 1973 and was named Stuart Professor of Philosophy in 1995. In 1998, he was appointed Class of 1943 University Professor of Philosophy. Lewis was the author of countless articles, four books and five volumes of collected papers. His contributions span every part of philosophy, from logic and the philosophy of mathematics to ethics and the philosophy of literature. In the philosophy of mind, Lewis was a materialist and a reductionist, arguing that states of the mind are simply states of the brain, functionally conceived. In the philosophy of science, he was a structural realist, maintaining that science at its best provides an accurate account of a mind-independent world, though at the inevitable cost of revealing little of the world’s intrinsic nature. In epistemology, Lewis was a probabilist and a contextualist, holding that Bayesian decision theory provides the main rational constraints on thought and action, and that what we may truly be said to know crucially depends on the conversational context in which the question is raised. But it was in metaphysics, above all, that Lewis was widely regarded as the most important systematic thinker of modern times. From the beginning, his work in the philosophy of mind and language had made free use of the new and powerful tools of possible worlds semantics for the representation of linguistic meaning and mental content. But unlike most philosophers, Lewis regarded the idiom of possible worlds as something more than a vivid façon de parler. According to Lewis, our world is one of infinitely many worlds, each a self-contained universe, unconnected to this world or to any other. Every possibility - every possible course of history in all its rich detail, every possible variation on each one of us - is realized somewhere in this vast space of worlds. In Lewis’s hands, the “modal realist” hypothesis of many worlds becomes the cornerstone of an astonishingly powerful account of the fundamental concepts of systematic philosophy. Systematic philosophy as Lewis pursued it is a very demanding subject. It demands an account of the content of thought and language. It demands an account of the concepts that structure science and common sense: necessity and contingency, causation, probability and physical law.It demands an account of persistence through change. It also demands an account of what sorts of things there are and how we can know what we do indeed know about them. Lewis argues for “modal realism” by demonstrating that if one assumes that possible worlds really exist, one is then in a position to respond to these demands.One can convincingly elaborate what causation, contingency, and the rest consist in: one can provide a systematic representation of the contents of thought and language, and go on to explain how they manage to represent a mind-independent external world.The very structure of this intricate argument is striking in its originality. Even those of us who were not persuaded by Lewisian modal realism acquired from his work a more vivid sense of what the options are in metaphysics: what sorts of obstacles we face in the effort to give a systematic account of reality if we reject his modal realism and the simplification that it affords. Lewis was a legendary teacher, famous for his meticulous delivery, his firm but gentle criticism, and above all for his breathtaking clarity of mind.His undergraduate course, Philosophy 318, introduced generations of students to the intricacies of modern metaphysics through an entertaining investigation of the paradoxes of time travel. His graduate seminars were laboratories of philosophical research.Lewis would present his own views on the topic, pointing out the open problems and the unresolved foundational questions, and then invite his students to object, to propose and develop alternatives, to thus contribute to the subject. Many of the most vital currents in recent metaphysics emerge directly from those Princeton seminars, often through the dissertations of his many graduate students. Lewis was the recipient of many honors, which he welcomed with gratitude and his characteristic humility. His first book, Convention: A Philosophical Study, was awarded the Machette Prize for the best book by a philosopher under 40. He was a fellow of the American Academy of Arts and Sciences, a corresponding fellow of the British Academy, and the recipient of Princeton’s Howard T. Behrman Award for Distinguished Achievement in the Humanities. He received honorary degrees from the universities of Cambridge, York and Melbourne. In 2006, the Department of Philosophy at Princeton University began a series of lectures in his name. For thousands of philosophers around the world, Lewis embodied what is best and most distinctive in the so-called “analytic tradition” in philosophy: its concern for getting things right, its ambition to set out the options with perfect clarity, its insistence that authority can only come from insight and the quality of the argument. You can listen to “Knowing what it’s like”, a lecture given by David Lewis at La Trobe University in the early 1980s, by clicking here.